Stanley Shimko Jr. gives two thumbs up after seeing the UV program by UV BOB. 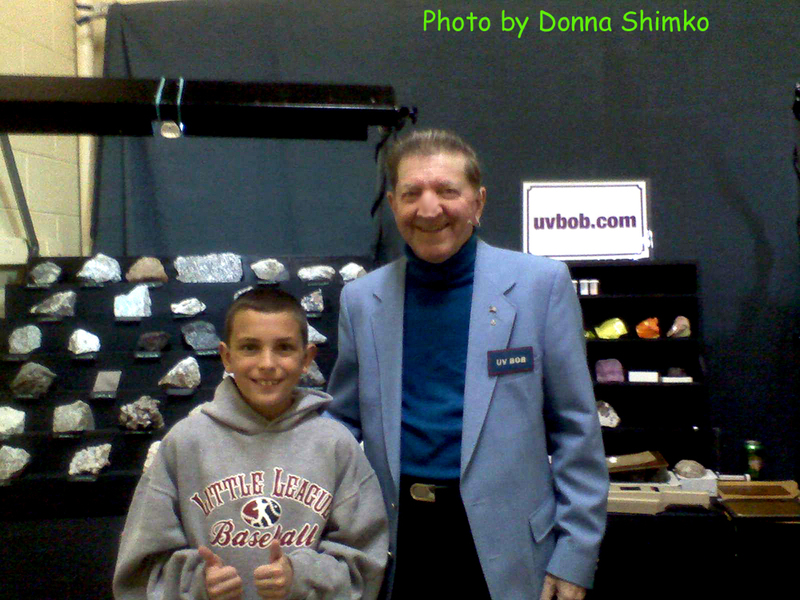 Five programs were given by UV BOB at The Mineralogical Society of Northeastern Pennsylvania’s 13th Annual Gem and Mineral Show held at Oblates of St. Joseph in Pittston, PA.
Posted in News, Shows | Comments Off on Two Thumbs Up!! I attended the UV Bob show and was amazed at how cool it was. There were glow-in-the-dark rocks that changed colors in different light. My brothers and cousin got to volunteer for a demonstration and will not stop talking about the experience they had. We were all impressed at how many different samples and minerals UV Bob had on display. He also talked a lot about the usefulness of fluorescence in our daily lives. He had lots of good stories and antidotes. I learned a lot and my bothers and cousin want to try some of the experiments he suggested. If you get a chance to see a show by UV Bob, I would suggest you attend. It is a lot of fun and a great learning experience. Fluorescent minerals seem to fascinate anyone who sees them. There is a reason why such a large crowd gathers in Franklin, New Jersey every April to observe the “Fluorescent Wall”. I met Bob McGuire (UV-Bob) for the first time last year at the Wayne County Gem and Mineral Show in upstate, New York. 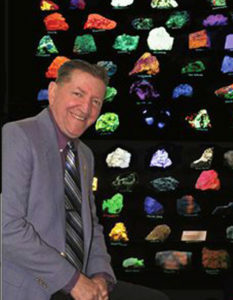 As a professional geologist and mineral collector I could appreciate the variety of minerals in his displays and Bob’s unique and clear description of the awesome property of mineral fluorescence. But watching the children in the audience of his show react to his well planned and enthusiastically presented program was perhaps even more satisfying. Kids, and their parents, are observed learning a little mineralogy and having fun doing it. Bob involves the children in the audience in his fascinating demonstrations and rewards them for their participation. If you attend a show where UV Bob is presenting, or if you need a fun family style educational program for your school or club, I highly recommend Bob’s travelling mineral and light show.